The department of Electrical and Electronics aims at producing qualified engineers in the areas of electrical related to Power system engg.renewable sources of engg. Power system protection,Advanced electrical Machines,Electric Drives,Communication engineering, signal processing and instrumentation. The field of electrical andElectronics is advancing at a very rapid pace. Advance Power system & Alternative Source of Energy is challenging research area & major job Opportunity in these upcoming field in relation to computer, microprocessor or communications. The department is well equipped with a group of highly qualified and dynamic teachers. It boasts of laboratory facility to be one of the best in the state. The students are encouraged and motivated to take up challenging projects. Summer training, Grid Visit,Industrial visit ,Industrial Training and projects are carefully planned for the students to remain updated with the technology trend. National Seminars and short term courses, National Workshop are regularly organized to update the students with the latest education and industry trends. The Department is headed by Er. 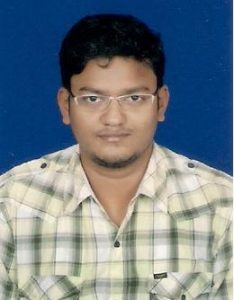 P. Deepak Kumar Yadav. The B.Tech (eee)programme was inducted in 2001 with an intake capacity of 60 students. Currently the intake capacity is 60 students. Admission to B.Tech (eee)programme is strictly through the OJEE/AIEEE qualified candidates, and handled centrally by the OJEE counseling process. 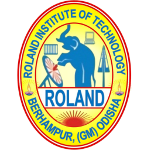 B.Tech (eee)at roland institute of technology has been a favourite choice among the OJEE/AIEEE qualified candidates. A weekly seminar is done by the internal faculties. Varied topics are discussed which triggers the research work. Renowned speakers are invited and a good number of papers and projects are discussed which acts towards global development. Different projects by the final year students are displayed and explained to the pre-final year students which behaves as a bridge and minimizes the gap between the institute and the industry. These tours are arranged to make the students aware of the practical implementations they are studying in the future and also can be inspired to join the industry. It is started in the year 2005. It has 50 members, we organize National Workshop in each year. Manually arm controlled Robot, Under water robot are the specialities of Robo club. We organize National level competition every year with the heading Tech.fest. Faculties of electrical Department conduct various short-term programmes (STPs) and Summer Courses for the benefit of Students.